For additional information about this book, visit the website Final-Moments-Death.com. There are only two guarantees when you enter this world. The first is your birth, and the second is your death. The moment you draw your initial breath the first guarantee is complete, but there is no assurance you will live beyond that first breath. However, if you do there are no promises of subsequent love, power, or wealth. There is no promise your life will be well lived or that you will be happy with your lot in life. That is the democracy of birth. The second guarantee is your death. It will come, sooner or later. But like birth, death carries no additional guarantees other than the fact that it will terminate your life. It may come sooner or later, but it comes to all of us, each in our own time. It will be your final moment. That is the democracy of death. But no one dies alone: A messenger comes to usher your soul to the other side. Over the ages he has been called by many names, including the Grim Reaper and the Angel of Death. But to those he comes for in this book, he is Azrael. Through the eons he has attended each person’s final moment. What the dying person has to say to Azrael reveals much about what kind of person they were. Through their questions and pleas they reveal their humility (or lack thereof ), whether they were honorable, and how many people will miss them. Azrael knows what happens to them on the other side, but he can’t share that information with the dying. Many of them wouldn’t want to know anyway. 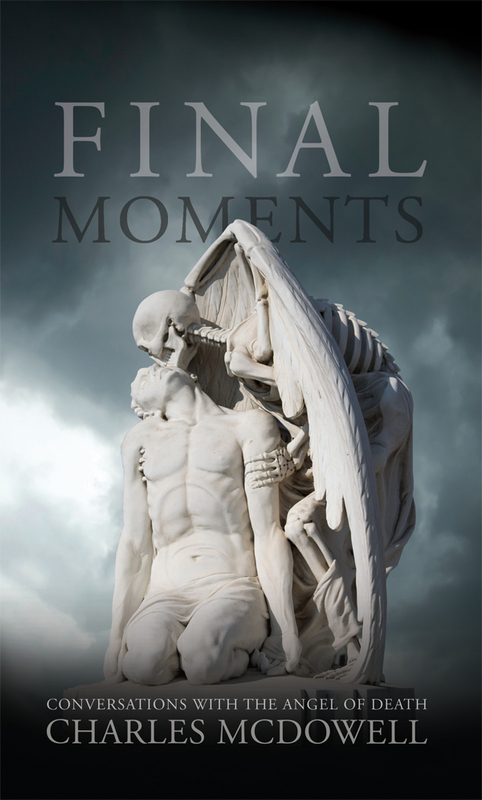 Final Moments is a collection of thirteen conversations with Azrael. These people came from all walks of life, and they have all died. By reading their stories perhaps you will be better prepared when Azrael comes for you. What will you say when the Angel of Death comes for you? What do you think he will say to you? Will there even be a conversation between the two of you? This book recounts twelve such conversations and illustrates the richness and folly of the human condition. As we grow older we all realize we have one final journey ahead of us. Who who will be our guide? Is this something we should fear, or is this last episode in our lives something we should embrace with hope? Read this and see. Charles McDowell is retired and lives in rural Virginia.